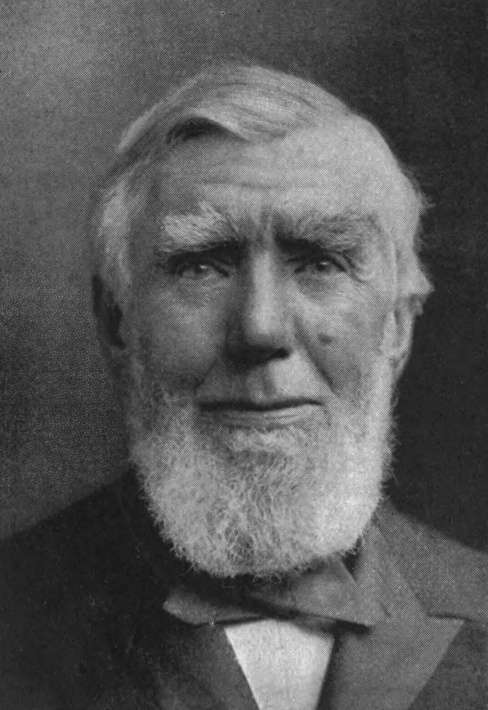 Charles Lockhart was born at the Cairn Heads, near Whithorn, in Wigtownshire, Scotland, August 2, 1818. His father, John Lockhart, was the son of Charles Lockhart, of Ersock, a prosperous farmer and a prominent and influential man in his shire. His mother, Sarah Walker, was the daughter of James Walker, a linen manufacturer of Sorbie, a man of rare business and intellectual qualities. From this ancestry Mr. Lockhart inherited the abilities which made him a prominent factor in the business world. When seven years of age he went to live with an uncle, John Marshall, a merchant at Garliestown, a seaport on Wigtown Bay. He remained with him, with the exception of one year, until he was sixteen years of age, attending school and assisting in the store. Early in 1836 his parents decided to come to America, and, with their family of seven children, reached New York after a voyage of fifty-six days. They came direct to Pittsburgh (then spelled Pittsburg), but shortly after moved to a farm in Trumbull County, Ohio, where, however, they remained but a short time, returning to Pittsburg. 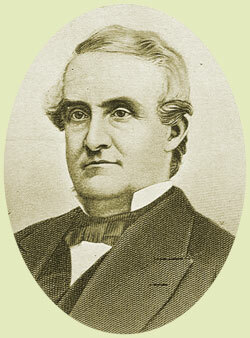 Charles Lockhart did not go with his parents to Ohio, but remained in Pittsburg, where he found employment with James McCully, with whom he remained for nineteen years, and in 1855 he became one of the firm of James McCully & Co., the other partner, besides Mr. McCully, being the late Mr. William Frew, who was a nephew of Mr. McCully. This partnership was continued until April 1865, when it was dissolved. It was while a clerk in the store of Mr. McCully that Mr. Lockhart made his first venture in the oil business. Thomas Marshall Howe Nimick, Jr.
Mr. Nimick was born in Pittsburgh, Pennsylvania on February 22, 1923 at Shadyside Hospital. He was the son of Thomas Nimick and Genevieve Murtland Nimick. He attended school at Shady Side Academy, then St. Paul’s School in Concord, N.H., graduating in 1941. He served in the U.S. Navy from 1943 to 1946 then attended Princeton University graduating with a degree in chemistry in 1948 and received a master’s degree in business from Harvard Business School in 1950. In the 1950s Mr. Nimick worked for H.J. Heinz Co. and the Shenango Furnace Co. He later founded Norbatrol Electronics Corp. and Tyra Industries Inc., companies he eventually sold. He was also president of Nimick Co., a venture capital firm. Mr. Nimick served as founder, director and vice president of the Shadyside Hospital Foundation and also served on the board of Shadyside Hospital, now UPMC Shadyside. Mr. Nimick also served on the executive committee of the Children’s Institute of Pittsburgh, the advisory council of the University of Pittsburgh Cancer Institute, the executive committee of East Liberty Family Health Center and on various committees for the Carnegie Museum of Natural History. He also was a director emeritus and former committee chair for the Loyalhanna Watershed Association and a longtime member of the PA Environmental Council. Mr. Nimick passed away on October 4, 2007 and was preceded in death by his wife, Florence who died in 1981. Tom provided funds to establish the Florence Lockhart Nimick Nature Center at Powdermill Nature Reserve. Tom and Florence's three children, Charles "Locky", Vikki and Cathleen "Kit" survive their parents and seek to continue their work and mission. Mrs. Nimick was born on January 28, 1934. She was an officer and director of the Home for Crippled Children – now The Children’s Institute of Pittsburgh. Mrs. Nimick shared her passion for the mission of The Children’s Institute with her three children from their earliest ages, and helped to ensure that they would continue her legacy of making a difference at The Children’s Institute and beyond. Mrs. Nimick was a graduate of Masters School, Dobbs Ferry, N.Y. and also attended The Ellis School, the Broadmoor School in Arizona and Mount Holyoke College in Massachusetts. Mrs. Nimick was a founding member of Carnegie Museum’s Natural History Committee and president of the Ladies’ Association. She was also a member of the Social Service Board at Shadyside Hospital and a trustee of The Ellis School. Locky lives in the Washington D.C. area and works in the immigration sector. He enjoys art, biking, and photography – some of his photos have been used by our grantees in their publications. Locky is very involved with grantees local to him and in the Pittsburgh region and has attended numerous site visits to see firsthand the work we fund or may have the opportunity to fund in the future. Locky places particular emphasis on the Foundation’s mission of education and the arts with projects that promote enhanced opportunities for women and children that can better the circumstances of future generations. Vikki and her husband Tim live in Madison, Wisconsin along with their teenage daughter and enjoy volunteering and supporting organizations both in their local area and throughout the U.S. Vikki worked for many years in the public sector and is now running her own company, Nimick Enright Consulting, while helping to support the operations of a local church and food-pantry. When Vikki isn't working or volunteering she frequents the museums, libraries and organizations that we actively support. Kit lives in her hometown of Pittsburgh, PA and enjoys being involved with many organizations in the region as well as taking a key role in the design and development of The Nimick Family Therapeutic Garden at The Children’s Institute. Kit enjoys spending time with her two adult children, Will and Natalie, both of whom are our foundation’s most recent board members. Kit was also integral in our support for Aspinwall Riverfront Park and believed in the vision and importance of preserving that space for future generations and protecting the property from development. Will Austin is a trustee and a third-generation descendant of Mr. Nimick who founded our foundation. Will lives in Boston and works for a leading provider of integrated financial service solutions and enjoys traveling, attending concerts and meeting our grantees. Will has been an integral part of our funding initiatives over the past four years helping to bring to fruition many new projects and initiatives. Will continues to provide wonderful insight and ideas and has worked hard to impact local communities. Natalie is an associate trustee and our newest third-generation member. Natalie lives in Pittsburgh and is a teacher who enjoys being active in our community and volunteering her time. Natalie has focused her initial projects on early childhood education, intervention and helping to ensure that every child in our community has the opportunity to attend our best schools by helping to promote scholarships for families who otherwise wouldn't be able to afford tuition.